AKFF Venice VIP Club Launched on First Friday, July 1, 2016! Introductory Membership Special for a Limited Time Only! Dogtown Dogs, MIB Pizza, Mapuche Argentinian, Funky Chef Cafe, more! Get Specials all month long, ALL LOCATIONS from Food Trucks & Food Apps! 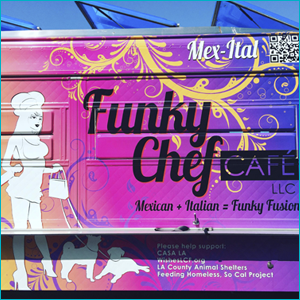 Example – EXCLUSIVE MEMBER SPECIAL: 25% OFF your order at Funky Chef Cafe! 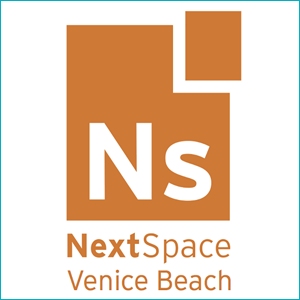 MEMBER SPECIAL: 2 Hours FREE Conference Room at NextSpace Venice Beach worth $80! Unlock Promocode WHEN YOU BECOME A Member! NextSpace Venice Beach, Regi’s Venice, Levitate LA, Turning Point Pilates, Acutonix, Jagmedia, more coming soon! These are only some of the great companies that give Special Offers to our Members. MEMBER SPECIAL: 20% OFF first Visit to Acutonix on Abbot Kinney Bl (acupuncture). MEMBER SPECIAL: 20% OFF Regi’s Apparel, Accessories & Shoes on the Boardwalk: Harley-Davidson, Whet Blue & First. MEMBER SPECIAL: 15% OFF Website Packages from Jagmedia in Venice, Publisher of AKFF Blog. Abbot Kinney Blvd Gets Spooky For First Fridays!